This particular one, which now sits in my work room, is bought from Darlybird. I want a whole wall full of all different types. This may be a new goal. cuckoo clocks creep me out. lin- haha… you are crazy! 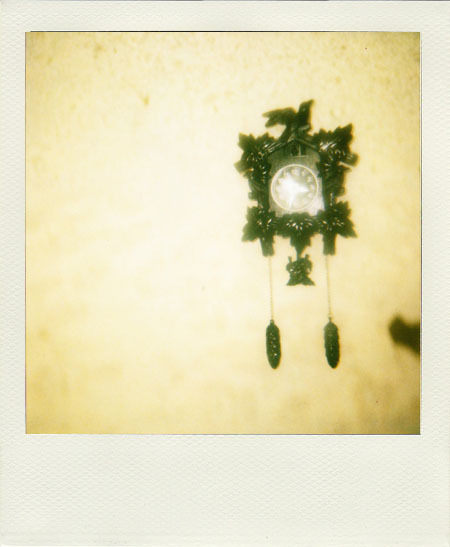 I grew up with a cuckoo clock in our house… it was from Germany like my Dad! He still has it. I want it!!! It gives homes a real cottage feel! And kids absolutely love the little bird!! Your photo is really great!!! I checked out Darlybird and it is so cute. I love that they have $15 grab bags. It reminds me of when I was little and my parents would let us pick a surprise bag at the Dollar Tree!